On 8/4/12, many Rochesterians gathered along the shore of Lake Ontario in Charlotte, NY ~ in response to the recent BP Oil Disaster. People nationwide are participating in their own local Hands Across the Sand. With posters hanging off our bodies, we held hands, forming a long chain of concerned citizens. 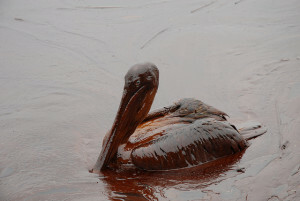 ARAUNY signs placed special emphasis on the oiled sea birds, suffering, dying from this careless BP Oil mess. After the on-shore ‘hands-across-the-sand’ event, we gathered in a large circle in the park, sharing readings about the environment and our planet. (D) Rep. David Kuhn also spoke at this event. When I spoke, it was quite something that at that very moment, all the seagulls in the area suddenly landed right behind me, seeming to focus their attention in our (my!) direction as I was advocating for the animals affected by the oil spill. Can you visualize such a thing?! Many thanks to Vicki Ryder of Raging Grannies (Rochester) for organizing this most effective event. … Hands Across the Sand … for the animals, for the earth.